California’s four years of drought pale in comparison to the 15 drought years Australians endured. But Australia’s pain may help ease California’s gain thanks to a new report, “Managing Drought,” which boils down some of the key lessons learned. But the state still has a lot of problems to solve and more to learn in terms of how it handles and plans for drought. A new report, “Managing Drought: Learning from Australia,” may help boost that knowledge. The report is a primer to show Californians what Australia did right and wrong during its Millennium Drought, which lasted a decade and a half, from 1997 to 2012. “Managing Drought” was a collective effort between the Alliance for Water Efficiency in Chicago, the Institute for Sustainable Futures in Sydney and the Pacific Institute in Oakland. Several California water utilities, including the San Francisco Public Utilities Commission and the Metropolitan Water District, chipped in funding for the research. Thanks to restrictions on watering landscapes, plus regulations for new or renovated buildings to increase efficiency, demand decreased in Australia – in one residential area by as much as 60 percent. This may seem like common sense, but it shouldn’t be taken for granted: Governments and water agencies need to effectively communicate with the public during droughts. 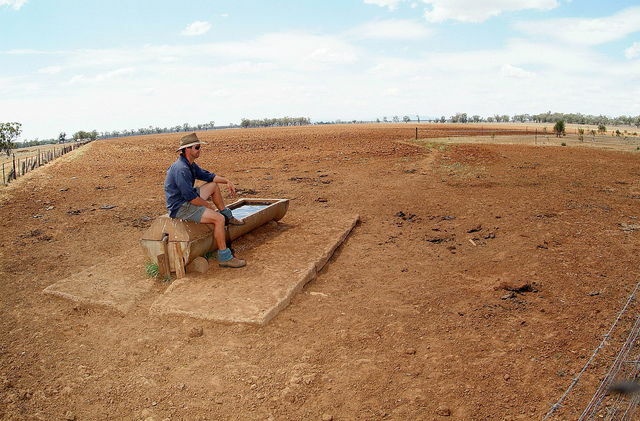 In some areas of Australia during the drought, the media regularly reported on per capita water use and how much water was left in reservoirs. Information about restrictions was doled out along with information about how to take advantage of rebates and incentives. Much of the focus in urban areas is on residential water use, but businesses also play a key role. “There remains significant potential to reduce indoor water use, and in California during the drought there has been inadequate attention paid to opportunities to replace old, inefficient appliances and fixtures in homes and businesses,” according to the report. Water used by commercial businesses, industry and institutions totals a third of California’s water. Areas that depend on single sources of water replenished by rainfall will obviously be most in trouble during a drought. Increasingly in California, water agencies are working to diversify water supply, including using groundwater (although this has been over-utilized in some areas), desalinating seawater or brackish water, and recycling water. An alternative would be to do least-cost planning to evaluate all the available options for both supply and demand and first select the measures that have the lower unit cost. Another option is using a readiness-based plan. This means taking care of the regulatory aspects and permits for the construction of any new projects beforehand, then signing off on their construction when a certain trigger point is hit. “For example, Sydney’s readiness strategy included a trigger to construct a desalination plant when dam levels fell below 30 percent, which would have allowed sufficient time to build the plant before reaching dead storage,” the report states. When demand falls during a drought it’s good news from a water supply perspective but can be difficult for water utilities because of lost revenue. In California around 80 percent of a water utility’s costs are fixed, so a decrease in consumption can cause shortfalls. One way to close the gap in short-term losses are drought surcharges or “fee-bates,” where those who use less water are rewarded and prices are raised for those who use high amounts. There is criticism, though, that such approaches could hurt poorer households or renters who can’t make water-efficiency changes to their homes. “This presents a key opportunity for California to carefully investigate whether short-term drought surcharge incentives could be innovatively designed to address equity concerns, incentivize water savings during drought, and potentially avoid longer-term costs for customers,” the report notes.